Today's ZINspiration comes from Amy Tippett of Grove City, Ohio. 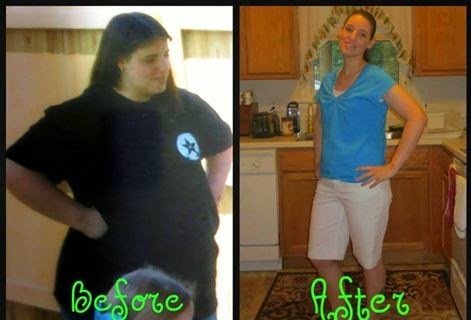 She lost over 80 pounds, 21 of which fell off after she found Zumba. Here's her story in her own words. In 2006, I reached my all time highest weight - my face was covered in acne and I was having all kinds of health problems. I went to the doctor for some tests and she diagnosed me with polycystic ovarian syndrome. She told me I needed to lose weight or my symptoms could get worse and it would lead to more health problems. That was my wake up call! I told myself I didn't care how long it took, I would lose the weight. I joined a women-only gym and after a whole year, I only lost 15 pounds. I would workout like crazy but I had no idea how to eat right. That's when my doctor suggested Weight Watchers. In January 2008, I started WW and I truly believe it saved my life! WW taught me how to eat right for the rest of my life. It was a slooooow process... but I reached my goal weight in 2010 and became a WW employee. In 2011, my life was turned upside down. My dad got diagnosed with cancer and passed away, and shortly thereafter my aunt, Grandma and 2 friends also passed, all within 5 months. I gained 17 pounds back because I just didn't care anymore. Luckily, since I work for WW, I had a lot of people that helped me realize I had worked too hard to go backward. I wasn't quite sure how to get my passion back for exercise and being healthy. My friend Kathy invited me to a Zumba Fitness class. One class was all it took for all that passion I had for exercise and living healthy to come back! Of course, I became a regular in that class and started going to other classes in my area. I lost 21 pounds and several inches. Here I am, a year and a half later, and I've become a Zumba instructor! I have the greatest jobs ever!! It took me so long to lose my weight that I never thought I would reach my goal but I did... and you can too!! I was so nervous before that first Zumba class, but as soon as I got in there, I realized it was no big deal. Zumba students and instructors are like one big family! We're all there for the same goal... to live healthier lives. There's no judging... everyone is there to dance and have fun. Thank you, Amy! 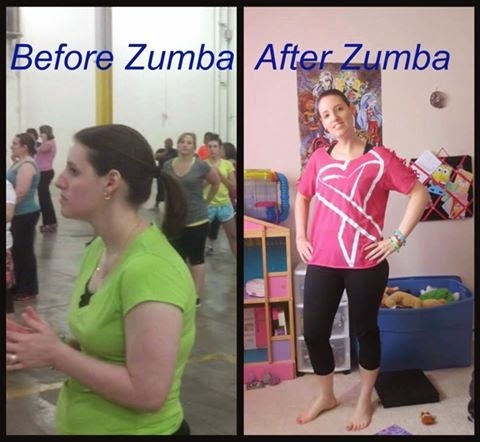 Has anyone else met a weight loss goal through Zumba? Let's hear your stories! Simply amazing. Amazing Person and Amazing ZIN.